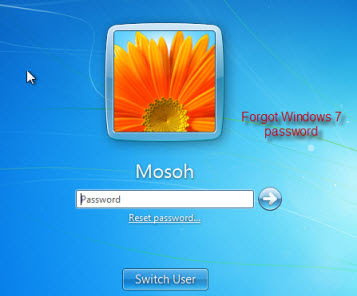 Solution for Forgot Windows Password: If you have your windows login password then you can log in into the computer easily, but if you forget the windows password, you cannot log in into that computer without some technical methods. In every computer there must be a user login option which is for security purpose. Almost every user might use this option to not to allow other users or people to access his computer. If you forgot the windows login password it is difficult to login into the same computer. Either we need to format the system or we need to recover the password. It is a better way to use windows password recovery option to get the password easily. Here we have some tricks to login into the computer if you forget the password. You can recover windows password by using the below methods. Log in as your actual user account with the new password. By using this windows password recovery methods to get the password recovered is a simple and interesting process.